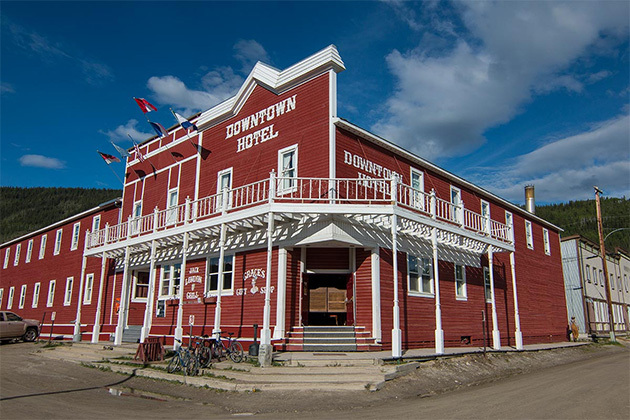 If you've ever walked into a bar and thought, "This drink would be so much better if it were garnished with a severed toe," you'll want to consider a visit to the Downtown Hotel Dawson City -- reachable via pre- or post-Alaska cruisetours that include Canada's Yukon. Walk into the hotel's Sourdough Saloon, reminiscent of something out of the Old West, and order yourself a shot from the bar. 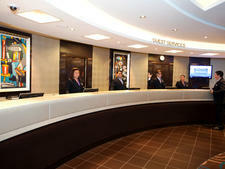 Then find the captain, located by the entrance, and tell him (or her) that you want to try the Sourtoe Cocktail. According to reports, a rum runner lost his toe to frostbite in the 1920s and preserved it in a jar of alcohol. Years later, the jar was found in his abandoned cabin. The pickled toe was then used in drinks to initiate "sourdoughs" -- those who have experienced at least one winter in the Yukon -- leading to the establishment of the Sourtoe Cocktail Club in 1973. The original toe was replaced after a drunken patron fell off his chair while taking the shot, accidentally swallowing it. Toe donations have trickled in over the years as the result of everything from frostbite to inoperable corns and diabetic complications. The saloon is now on its 11th toe, sent in by a woman from Alberta, who was mowing the lawn in a pair of sandals and, well ... you can see where this is going. We walked through the swinging, slatted doors of the Sourdough Saloon around 8:30 p.m. on a Sunday, and the line was already five people deep. We cautiously bellied up to the bar, where we tried to order a shot of Fireball with which to attempt the infamous shot. The bartender told us we'd have to use something with a higher alcohol content (to ensure the toe stays preserved). She explained that the most popular choice is Yukon Jack Whisky, given its name and origin. We declined, and instead opted for Goldschlager -- still fitting, considering Dawson's gold rush history. Having someone else's years-old severed toe touch your lips sounds a bit unsanitary, so we asked the bartender about the toe preparation process. To ready a new nub for its Sourtoe drink debut, the local hospital removes the bone and veins and uses dry salt to make the remaining flesh and nail "food safe." The whole process takes about a month. In order to avoid rehydrating the toe (which would cause it to rot), shots can only be done using straight alcohol (no mixed drinks) that's 40 proof or higher. When not in use, the toe is stored in dry salt to keep it petrified. 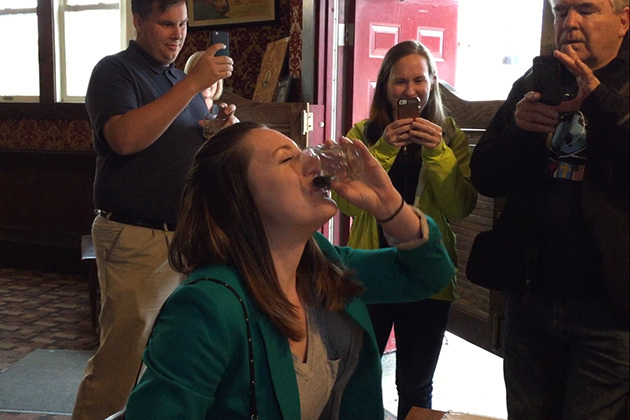 Before our turn, we watched a couple of hesitant hopefuls knocked back their shots and nodded with resolve as they downed the "squeezies" -- the leftover alcohol that's squeezed from the toe after the initial shot is taken. Silently we retched and gave ourselves a pep talk. Fascinated (and disgusted) visitors snapped photos while a handful of locals, unfazed by the hubbub, carried on quiet conversations over bottles of beer. After reciting the rules -- "You can drink it fast, you can drink it slow, but your lips must touch the toe" -- the captain dropped the toe into our glass. We swished it around a couple of times, awkwardly removed the gum from our mouth, tilted our glass and swallowed, pausing a few seconds for dramatic effect (and an equally dramatic photo that was later shared on Facebook). Then came the squeezies. We did it without hesitation. The verdict? We don't drink often, so we found the alcohol to be worse than the toe. We proudly gave the captain our name, and she handed us a certificate of completion and a membership card, verifying that we had been initiated. The card means that you can come back to Dawson City and drink a Sourtoe Cocktail with the $5 toe fee being waived -- if you care to do it again. If you're adventurous and want to become a card-carrying member of the Sourtoe Cocktail Club, yes. If you're squeamish or don't like shots, no. But if you can muster up the courage, it's a great conversation starter, and you'll feel like a celebrity as complete strangers snap photos of your exploits (it's a must for selfie-seekers). Plus, you'll only find Sourtoe shots in Dawson City, so unless you plan to return to the Yukon, it could be a once-in-a-lifetime opportunity. Think twice about swallowing the toe. The fine for doing so was originally set at $500, but when customers began slamming $500 down on the counter and purposefully swallowing the digit, the bar's owners increased the penalty to $2,500. Although the steep fine has protected the toe for now, the bar does keep an extra on reserve, just in case. In addition to the penalty fee, your Sourtoe Cocktail Club membership is null and void if you swallow the toe. If you're still apprehensive, keep in mind that more than 64,000 others have gone before you, and not a single one has been adversely affected.